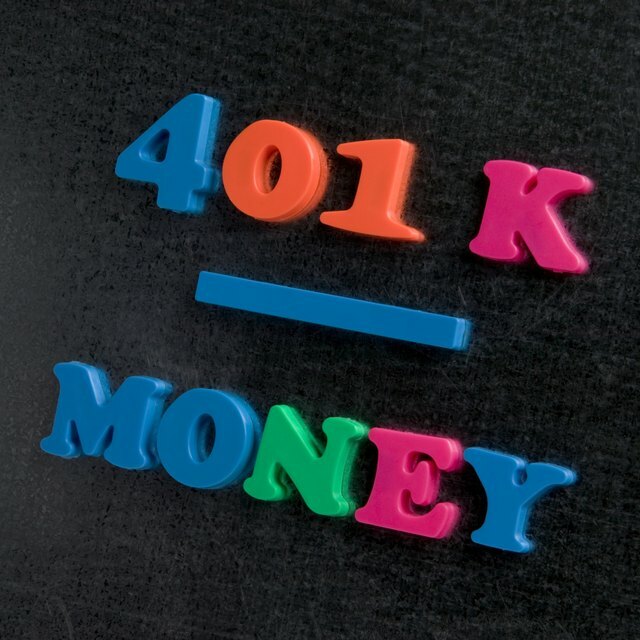 Can an Employer Hold Onto My 401(k) for a Year? Taking advantage of your employer's retirement plan is a great way to squirrel away money for your retirement, especially when your employer matches all or a portion of your contributions. However, if you leave before you're 100 percent vested in your 401(k) plan, you might not get to take all of the money in your 401(k) plan when you leave. Being fully vested means that you get to keep all of the money in your 401(k) plan when you leave the company. To prevent you from taking employer contributions and then leaving, your company can require that you work for a certain period of time before you're 100 percent vested. However, your employer can't make you work forever -- the government places limits on how long until your employer must fully vest you in your 401(k) plan. Cliff vesting is just what it sounds like -- one day you're not vested at all, then you hit the cliff and suddenly you're fully vested. The IRS requires that if your employer uses cliff vesting, it can't make you work for more than three years before you're fully vested. Of course, your employer can also choose any shorter period. For example, if your employer wants, it could fully vest you after one or two years. Alternatively, your employer can increase your vesting percentage over time rather than fully vesting you all at once. The slowest graded vesting allowed is 20 percent after the second year, 40 percent after the third year, 60 percent after the fourth year, 80 percent after the fifth year, and fully vested after the end of the sixth year. These are just minimums, so your company could vest you at a faster rate -- say 25 percent per year -- without any problems. The vesting rules don't apply to money that you contribute to your 401(k) plan, just the money that your employer puts in on your behalf. So, don't hesitate to put money in your 401(k) plan because you're afraid you're not going to stay long enough to vest. For example, say in your first year you put in $10,000 and your employer chips in $5,000 on your behalf. Assuming the company uses three-year cliff vesting, if you leave after just one year, you can take your $10,000 of contributions, but not the $5,000 your employer put in on your behalf.